Like many first-time Crossfitters, I was nervous, intimidated, and hesitant. 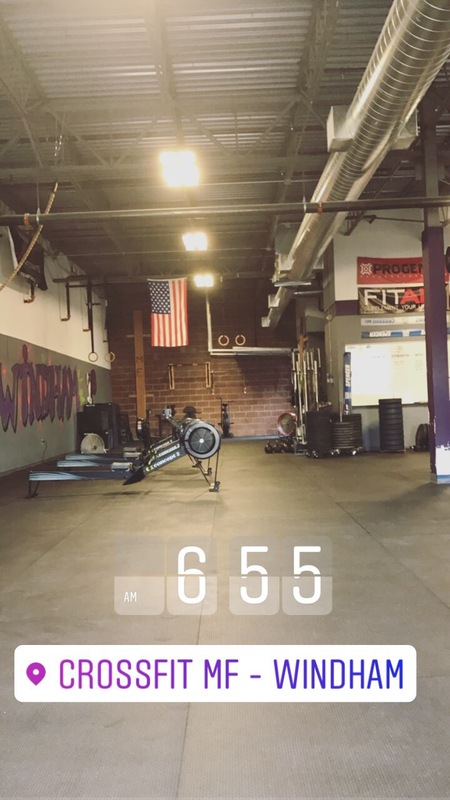 Coming from a fitness background, I had heard the Crossfit approach is “unsafe.” However, like all things in fitness and nutrition I like to try it out before making those assumptions myself. And I couldn’t be more pleased. Unlike, the assumptions that many like to make (who keep in mind-probably haven’t tried Crossift themselves), it was the safest class I have ever attended. Every single exercise was thoroughly explained with demonstrations, and the instructors (referred to as coaches) encouraged questions to be asked. As we began the workout, the coach kept an eye on everyone’s form and walked you through the exercise. He demonstrated it, as well as having you try it first. This misconception that Crossfit is unsafe, is just plain and utterly wrong. The coaches really do make sure you can 100% execute an exercise before beginning a workout. As my coach said: “its mechanics, consistency, then intensity” in the Crossfit world. That means they help you nail the mechanics of the movements, have you consistently execute the movement correctly, and then have you increase the intensity. 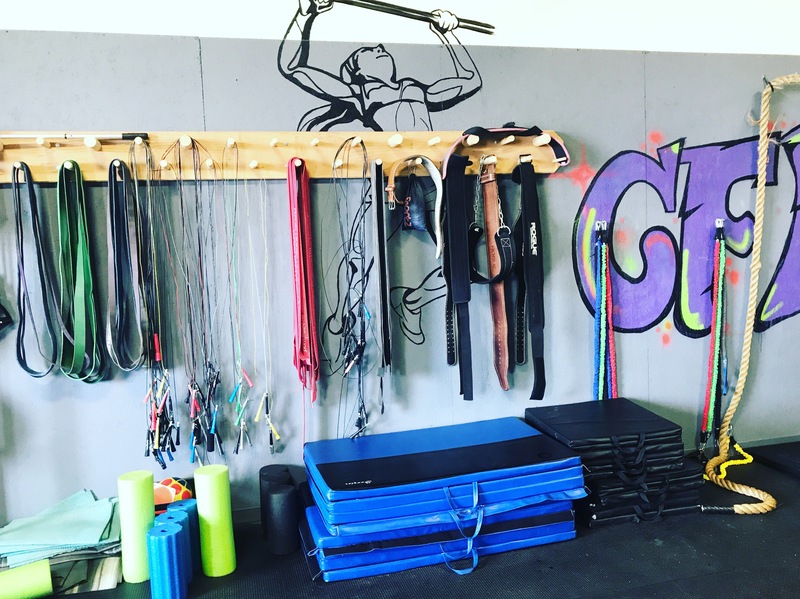 As a personal trainer, I wanted to take on Crossfit to have a break from my usual routine, expand my knowledge, and push myself in a new environment. When I write my own workouts, no matter how hard I try to not let mindset get in the way, I tend to include movements that I know I can execute well. What I mean by this is that I tend to include exercises I know I do well. For example, I train legs often because they’re the strongest part of my body, and can handle lots of weight, but I tend to slack on arms because I struggle more. Having someone coach me and get through a workout with me, gets me out of my comfort zone and pushes me more than I push myself. Another huge part of Crossfit I’m excited for is learning about Olympic weight lifting and improving my endurance. Having a coach ensures form is safe, and allows me to ask questions about styles of training I’ve never done. A new environment where I could soak up as much information as possible and not be hesitant to fail at things, is just what I needed. We broke out into groups of about 4 people, and evenly divided reps/distance between us (thank god!). I workout regularly, but my body definitely wasn’t used to performing difficult exercises at such a high intensity. My group managed to finish the workout in about 33 minutes and felt incredible after!! Now for someone used to a body building regimen, Crossfit is a whole different ballpark. It’s all about functional training, keeping the body guessing, and being a well-rounded athlete. That means you train not just for strength and physique, but also endurance, gymnastics, and metabolic conditioning. Crossfit will keep your body guessing and never let it get too comfortable. I am excited to see how I progress in all areas of fitness. My goals, are not anymore centered around my physique, but my ability to perform and train effectively. My goals are things like perform unassisted pull-ups, handstands, snatches, and so on. So for anyone out there itching for something new, I think Crossfit is a great option. It trains you for life, not just physique. Checkout the boxes in your area and try out one of the free classes. You’ll be happy you did!